The unmistakable quality of exterpark is shown in the latest product brochure, have a look and get in touch for more details. Millboard is woodfree, it captures the charm of real wood but eliminates many of it's shortcoming for outdoor use. Decking installation guidelines, make the most of your investement by following a few simple steps on fastening, spacing and using corner/end profiles. Exterpark hardwood specification, includes Ipe, Merbau, Kurupay, Massaranduba, Plantation Teak, Burma Teak, Elondo and Cumaru. Find out about the innovative Magnet system and its many benefits including quick and simple installation and easy access after installation. 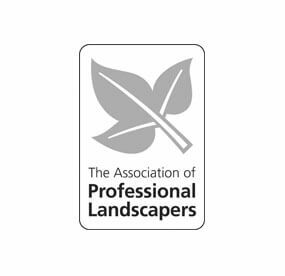 Essential information on how to maintain your new hardwood decking, the do's and don't on cleaning, oiling and winter preparation and use. The fastest decking installation in the world. 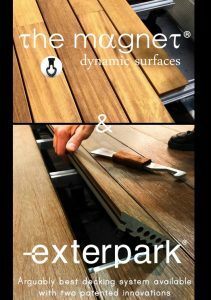 Magnet is the latest patented innovation in hardwood and composite decking and cladding. The Ecodek Heritage Brochure includes a guide to typical applications, installation instructions & full technical specifications for our complete range of products.